This cute crab and fish have a cheeky secret! 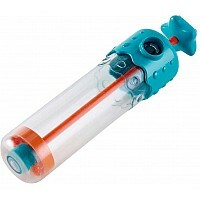 If you fill them up with water and squeeze them they will shoot out water. 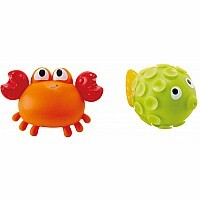 The crab squirts from his rotatable claws, while the little fish squirts from his mouth. Both come with a removable plug for easy cleaning. 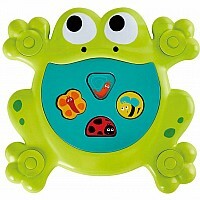 Brings splashy fun to bath time! 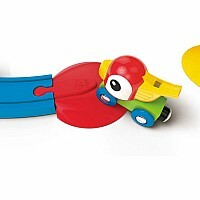 For ages 18 months and over. Measures approximately: 9.45 x 7.09 x 2.99 inches..